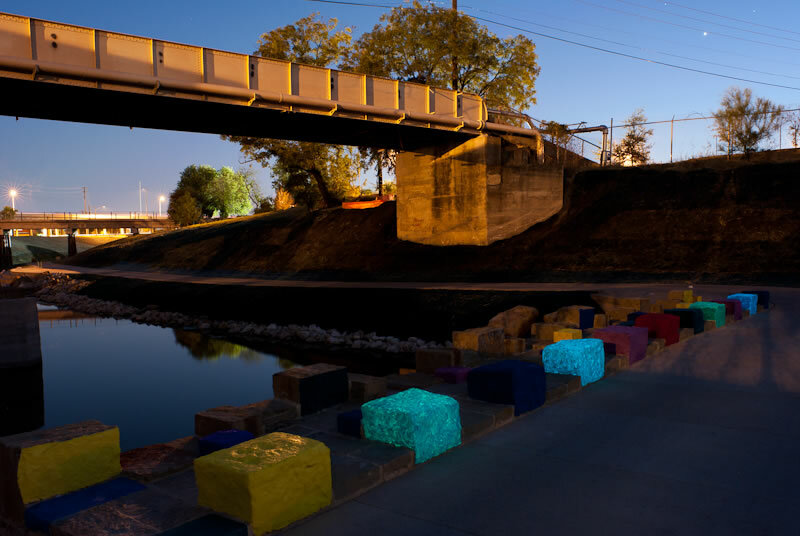 Up On the On integrates a repeating pattern of painted, textured rocks alongside natural river rocks. Schlesinger uses the same polymer stucco material he used in the Museum Reach and seeks to combine the urban with the natural. 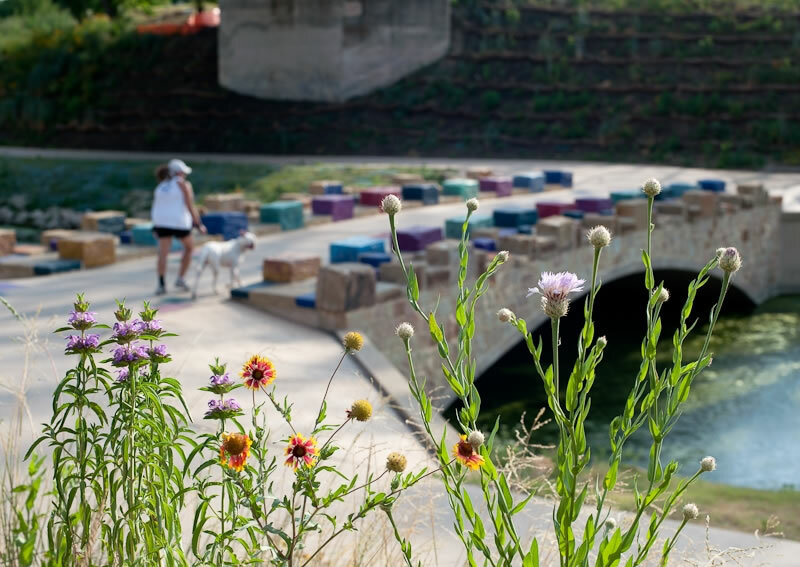 “When, for instance, this urban bridge begins to emerge from a natural flood, it will do so with a colorful, visual softness.” That softness, Schlesinger says, makes a strong statement, without overpowering the forces of nature. 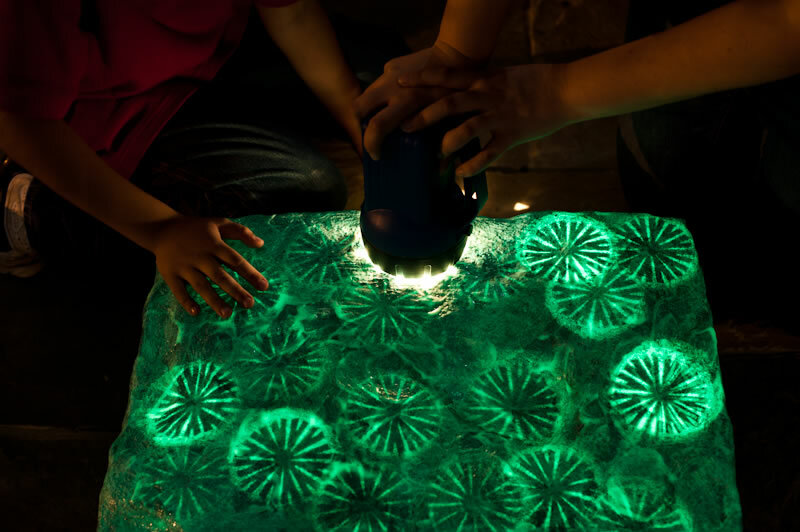 Several of the blocks will also glow softly at night.